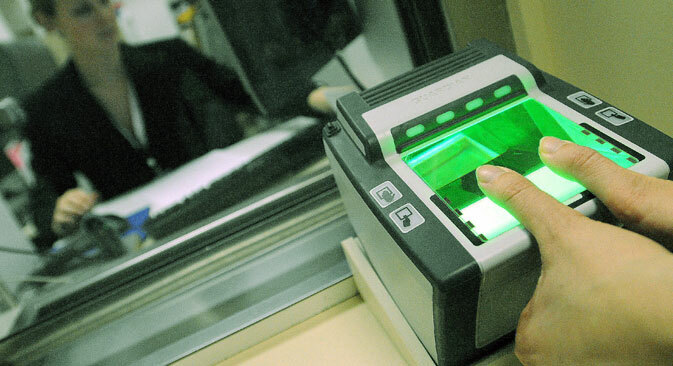 At the moment an American visa in Russia can be processed within five days and costs $160. The bill suggests including Russia on the list of so-called “highly dangerous countries,” from where terrorists could try to enter the United States. A bill that seeks to include Russia on the list of “highly dangerous countries,” from where terrorists could try to enter the United States, was introduced in Congress, the Izvestia daily newspaper reports. The document suggests checking American visa applications from countries on this list for a minimum of 30 days and to enhance controls over refugees from these countries. The amendments give the U.S. Department of State the authority to impose a moratorium if necessary on accepting refugees from countries on this “list,” which along with Russia includes about 30 Middle Eastern and African countries. This bill was put forward by Republican Senator Rand Paul from Kentucky, a candidate for the country’s upcoming presidential elections, back in November 2015. According to the bill, the U.S. Department of State together with the U.S. Department of Homeland Security must check that American visas are not issued earlier than 30 days from the moment of a visa application’s submission or until an “amplified security verification” is completed. Besides Russia the bill’s suggested list of “highly dangerous countries” includes Afghanistan, Algeria, Bahrain, Bangladesh, Egypt, Eritrea, Indonesia, Iran, Iraq, Jordan, Kazakhstan, Kuwait, Kyrgyzstan, Lebanon, Libya, Mali, Morocco, Nigeria, North Korea, Oman, Pakistan, Qatar, Saudi Arabia, Somalia, Sudan, Syria, Tajikistan, Tunisia, Turkey, United Arab Emirates, Uzbekistan, Yemen and the Palestinian Territories. Rand Paul’s press secretary did not reply to an Izvestia request for comment. Yuri Rogulev, director of the Franklin D. Roosevelt Institute for the Study of the U.S. at Moscow State University believes that the bill is simply a result of the chase for ratings by politicians. He suggested that politicians want to play on the fears of ordinary Americans who are afraid of refugees in the wake of information about the current problems in Europe. “This bill has no correlation to real threats,” Rogulev said.